Glomesh has become a staple in Australia’s fashion heritage with a history spanning over 50 years and still strong today. Glomesh was founded in Australia by Hungarian immigrants Louis & Alice Kennedy in 1958 where they set up a factory in Bondi, in Sydney’s Easter Suburbs. While they flourished at this site, the production soon became too much for the small factory and they moved to a much larger facility in St Peters in the inner west. The beautiful and iconic metal mesh was produced in gold, silver and other rich enamelled colours and became a staple of every woman’s wardrobe and is still sought after today. 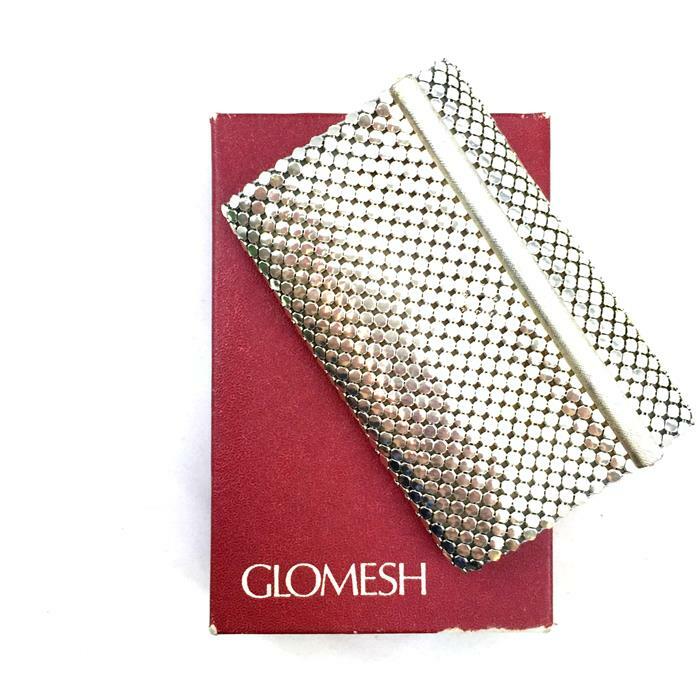 Glomesh produced a huge range of products from their trademark mesh including handbags, cigarette holders, key fobs, lighters, make up compacts and of course, purses. While the material has remained the same, the style has changed with the time, but some of their most popular pieces remain the classic 60’s and 70’s pieces. Come in and search our collection for your own piece of Australian fashion history.